The bulbs have been up and growing for a couple of weeks now, but today is when I saw the first paperwhite flowers appear. 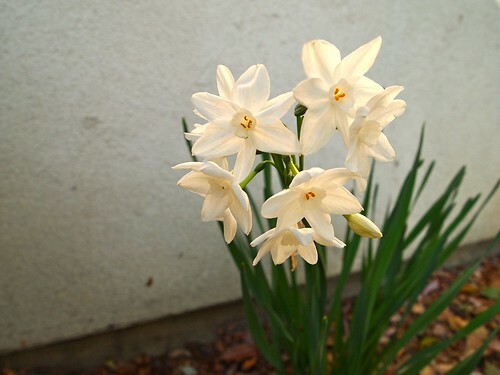 Our Southern California Spring starts as soon as the rains come, so most of our bulbs are growing right now. Looking at my calendar, it looks like we are about a week to a week and a half later this year than last.